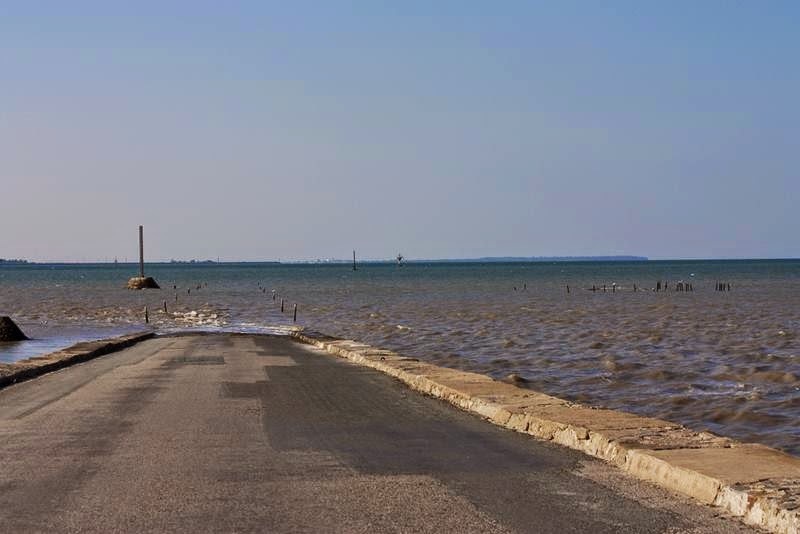 Imagine living on an island and the only road that connects it to the mainland and its filled with water every time the tide. This is what happened to them once the French residing in the island. 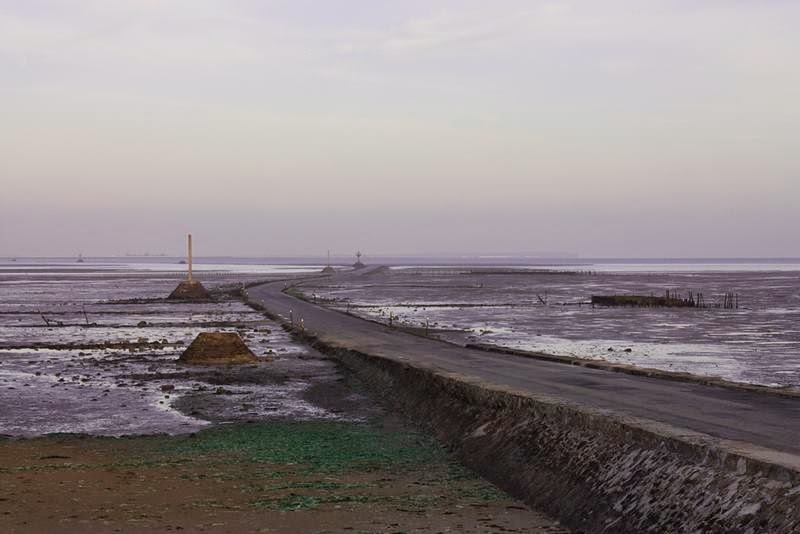 Passage du Gois is a submersible causeway in the Bay of Bourgneuf, linking the island of Noirmoutier to the mainland in the department of Vendée, in France. 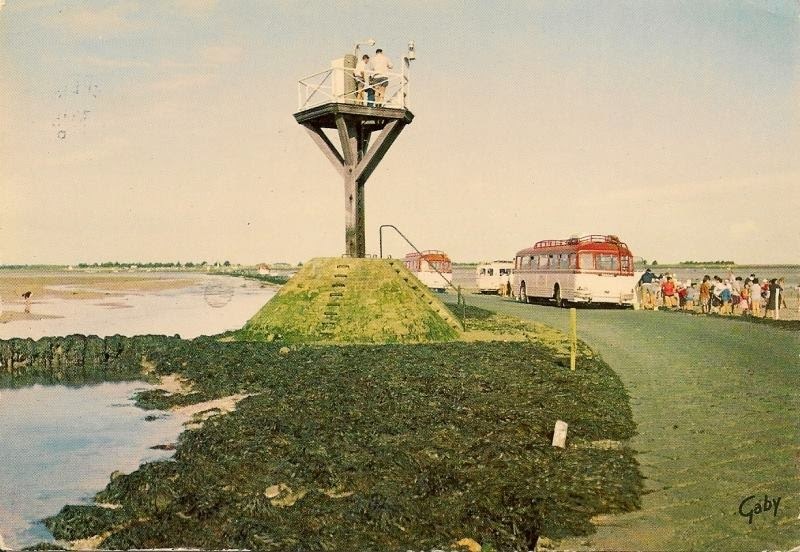 In 1971 a bridge was built to cross the 700 meter gap between the Ile de Noirmoutier and the mainland, before that there were only two ways to reach the island, either by boat or via the Passage du Gois. 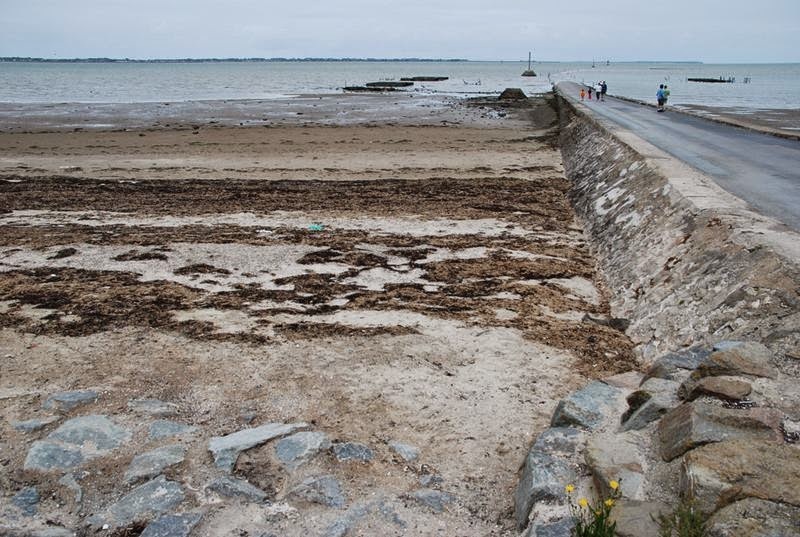 This uneven stone paved causeway was first used during the XVI century as the Baie de Bourgneuf gradually silted up. 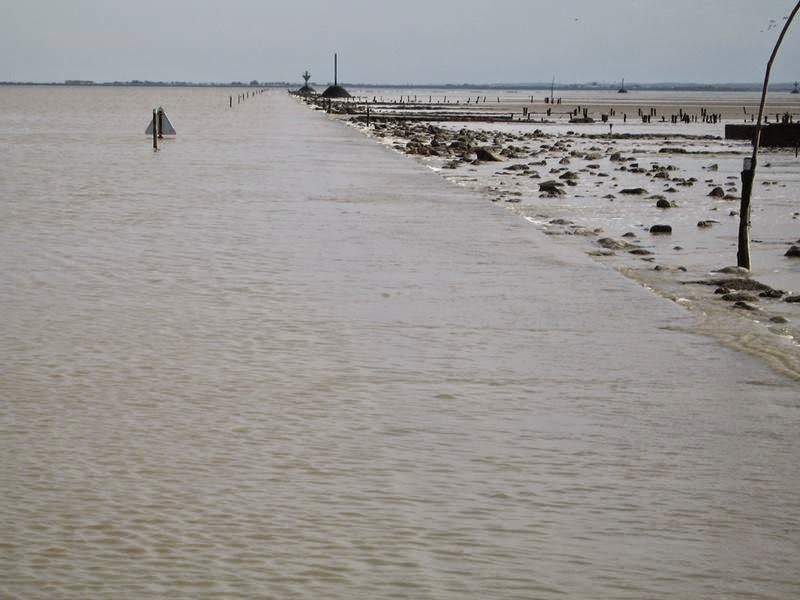 Today the causeway attracts thousands of visitors a year to watch the twice daily, it remains flooded under 1.3 to 4 meters of water and cannot be used and uncovering of the 4.5 kilometres of road as it miraculously appears from the sea during the ebbing tide. 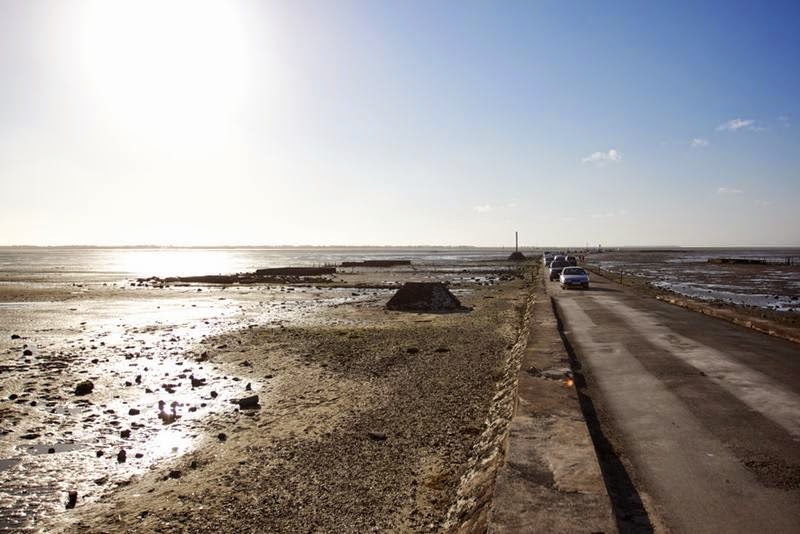 Visitors come to walk, cycle or drive across the Gois (from the local patois "goiser" meaning to wade), the locals also come to fish 'by foot', especially at low spring tides when the vast expanses of sand which are rich in all manner of shell fish are exposed. 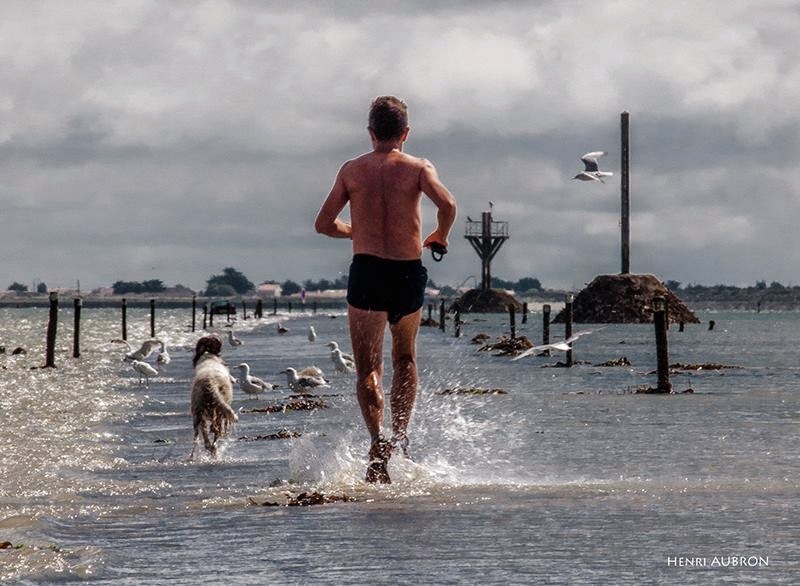 People went on foot over the sand-banks to the island of Noirmoutier. Much later they have made a paved road. In those days a lot of accidents took place, because of the quickly rising water. This is the reason why rescue piles have been built. 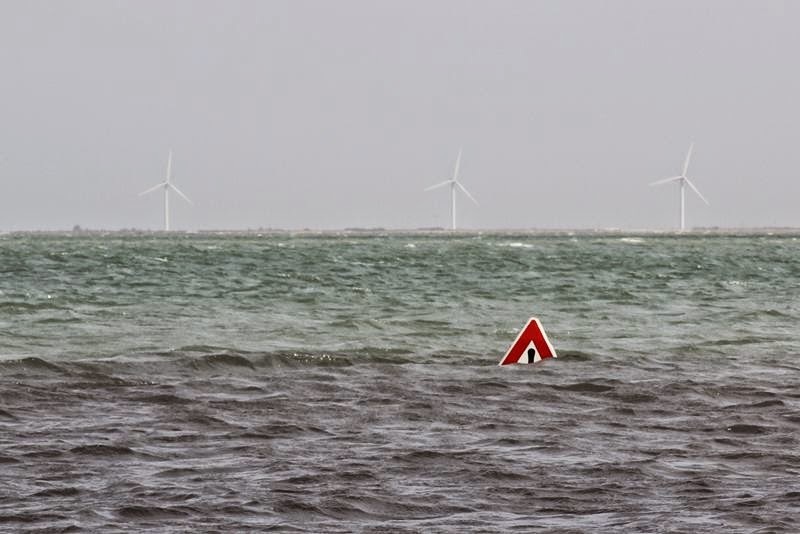 Anyone who is surprised by the rapidly rising water can climb in one of these rescue piles. 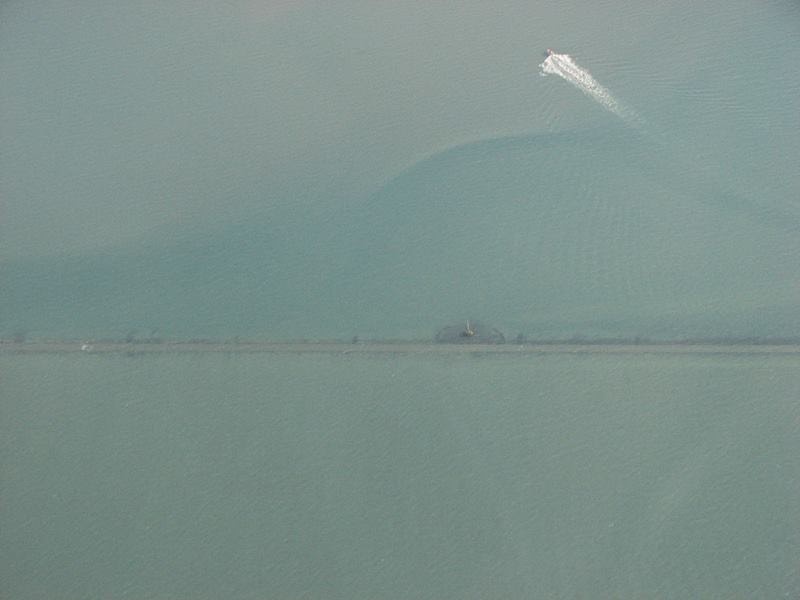 The last strengthening of the causeway took place in 1924. The causeway also attracts a lot of shell seekers. They are looking for the edible shells. With low tide you will see the French on the sea banks with their head to the ground in search of all sort of edible sea shells, which they will be eating at lunch with a delicious glass of the local white wine. 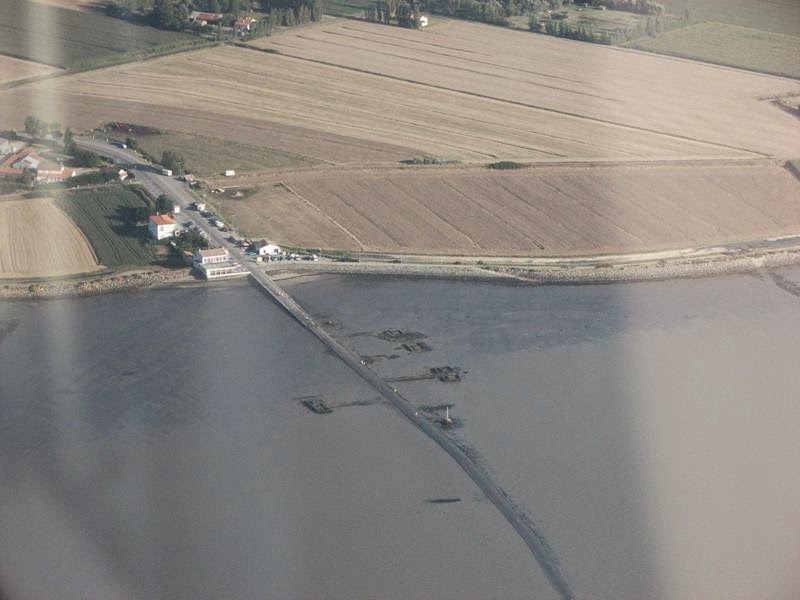 Since June 1987 once a year “les Foulées du Gois” takes place. This race is on foot against the rising water. Thousands of runners participate in this big event, but very unusual, the professionals athletes are the last to start. 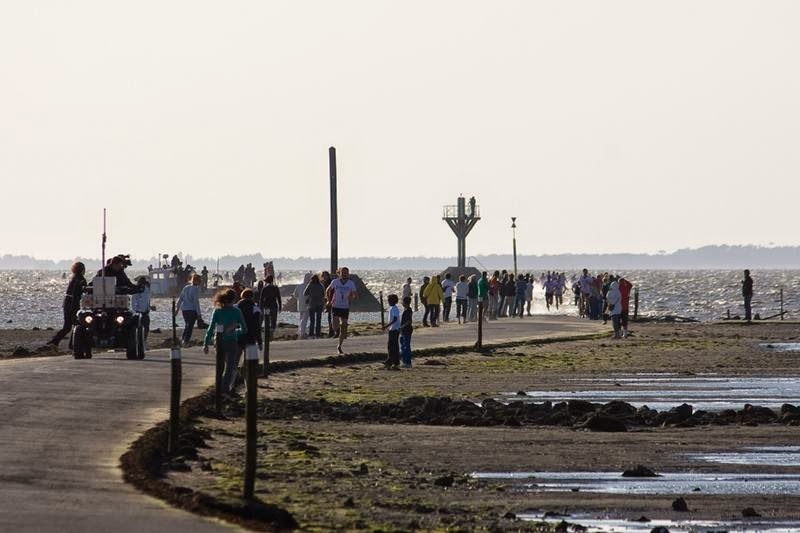 The causeway also attracts a lot of shell seekers. They are looking for the edible shells. With low tide you will see the French on the sea banks with their head to the ground in search of all sort of edible sea shells, which they will be eating at lunch with a delicious glass of the local white wine.